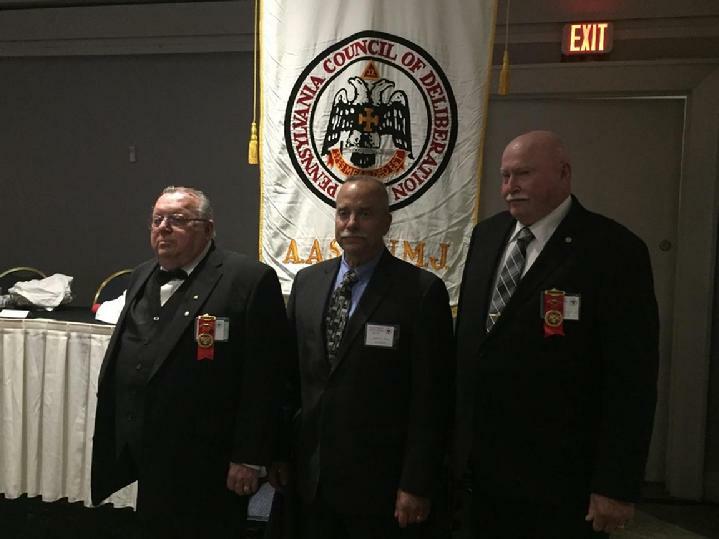 Brother Jerry A. Bish (Commander-In-Chief) with Brother Floyd P. Perry (Left) and Brother William C. Emanuelson (Right). 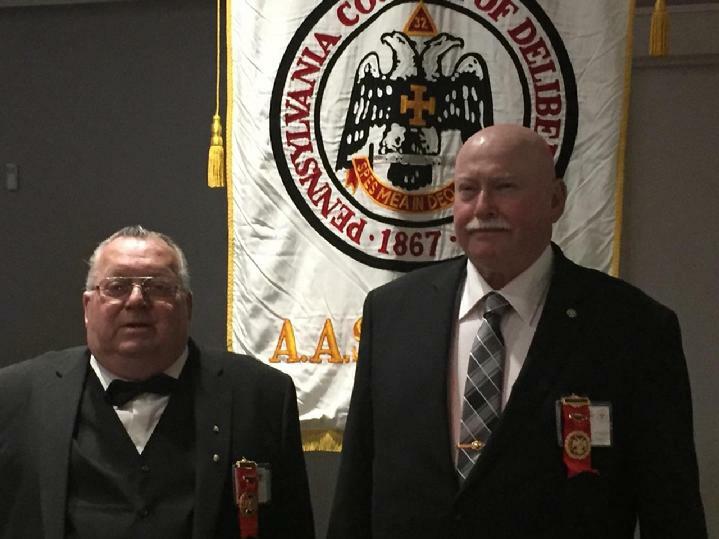 Congratulations to Brother Floyd and Brother William, 2017 MSA Award Recipients. 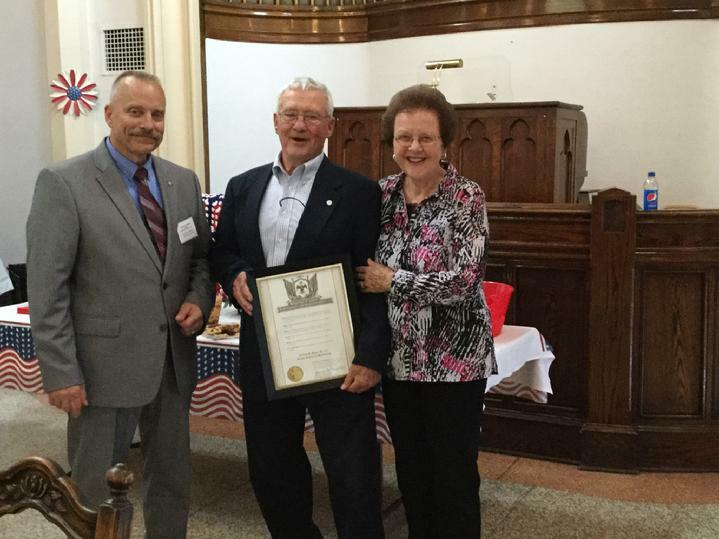 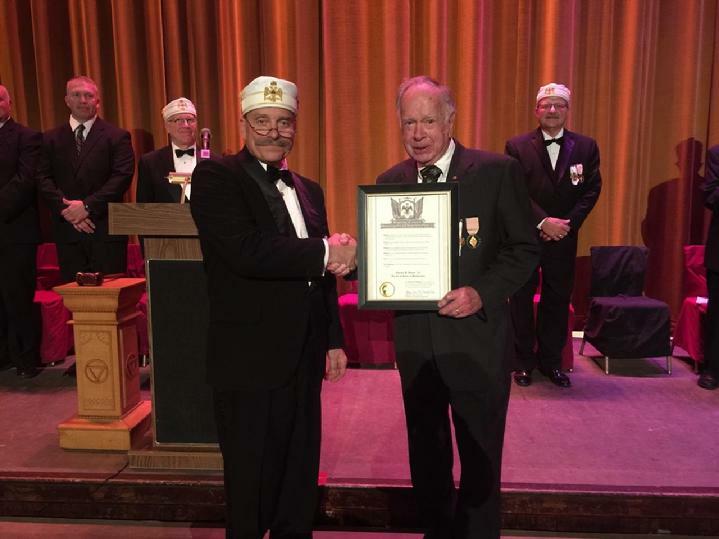 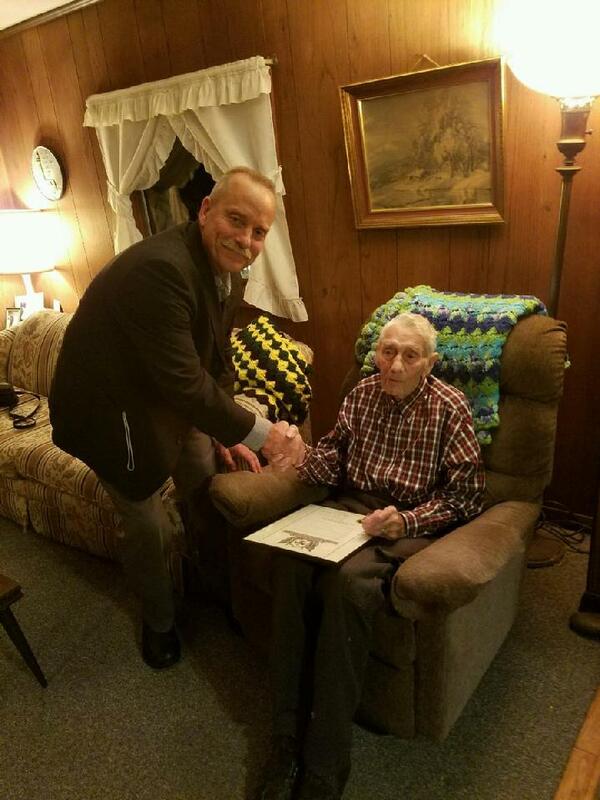 Commander-in-Chief -- Jerry A. Bish, 33° presenting Brother Almon G. Freeman his 70 year membership certificate.